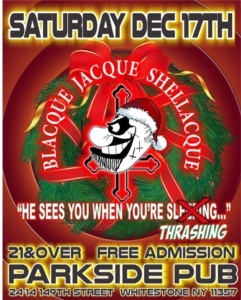 This Saturday, Dec. 17 I will be playing guitar in Blacque Jacque Shellacque. Will YOU be there? Click the picture to go to the event page for more details.